This soft burger buns recipe will elevate your burger game. 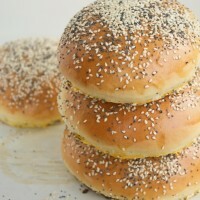 These fluffy and pillowy buns sprinkled with sesame and poppy seeds are easy to make and taste a million times better than storebought buns. 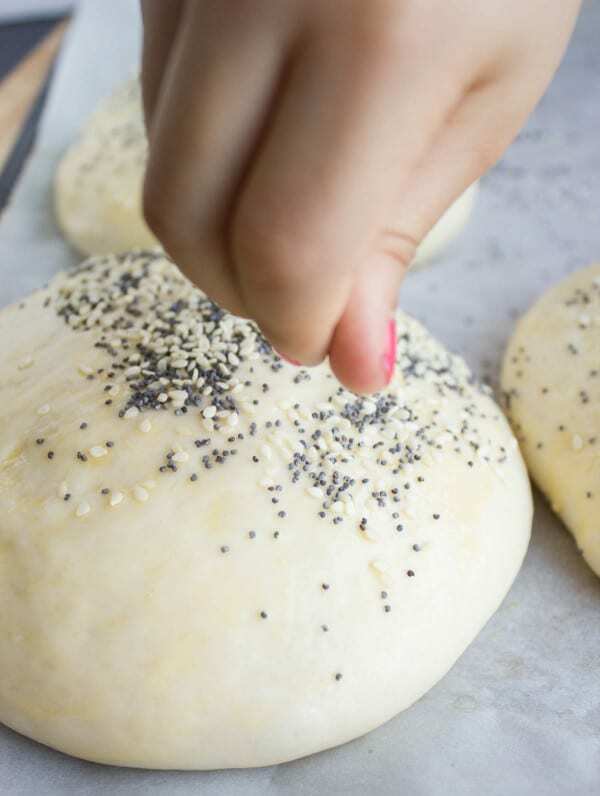 This is hands down the best soft burger buns recipe —a soft pillowy bun with a tender crumb topped with sesame and poppy seeds. These homemade burger buns will upgrade any burger. It will be your favourite soft hot dog roll, your favourite dinner roll or slider bun, your favourite soft everything bread! You will find yourself making this easy recipe over and over again. 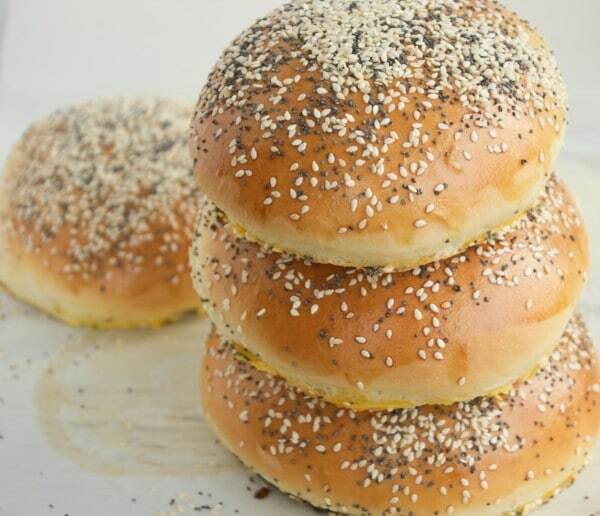 Making bread at home is something many people won’t attempt, but just allow me to stop you right there and ask: Have you tried to make this fabulous soft burger buns recipe before? I’m sure not. Well, allow me to tell you this: it will change your mind. This soft burger bun recipe is one of those staples that I make, flavour and shape in endless ways. Make the dough and shape it as you wish, like into dinner rolls, or garlic knots, or sweet or savory monkey bread. You can even bake it as a large soft loaf, or turn it into cheese stuffed tiny dinner rolls, slider buns, basic burger buns, hot dog rolls or sandwich bread. And think of the endless flavor options! You’ll be more surprised to know that unlike many store-bought soft buns, these hardly have any butter or oil or eggs, no milk or cream at all, and don’t require any fancy or advanced baking technique! It’s almost too good to be true. Put the flour and salt in a large mixing bowl. Rub the cold butter into the flour until the butter starts to incorporate into the flour totally. Set aside. In a measuring cup, measure the water and add the sugar and yeast to it. Mix them up and wait for 2-3 minutes until the yeast starts to activate: the mixture will turn cloudy and may foam on the top. After that, add in the egg and mix it well. 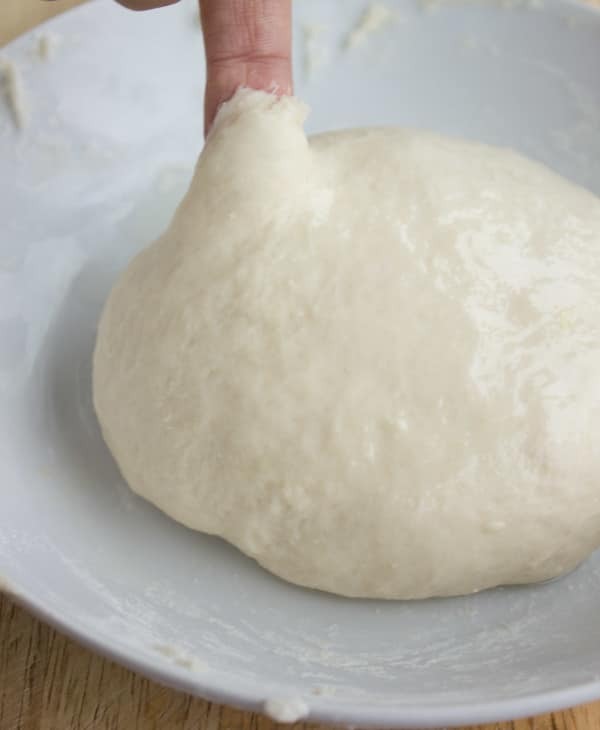 Pour the yeast mixture to the flour mixture and begin kneading the dough in a mixer or by hand, for just a few minutes until smooth but just a little sticky when you press your finger deep into the dough. Add a little extra flour if you feel the need to, but hesitate to add too much. It might feel challenging but it needs to be worked fast (if by hand) until it doesn’t stick to the surface anymore. Place the dough in an oiled bowl and cover it with plastic wrap. Let it rise in a warm, dry place. 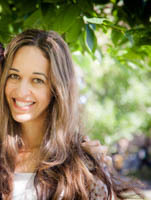 It may take 1-2 hours depending on how warm your home is that day. You will see it double in size and that’s how it’s ready. 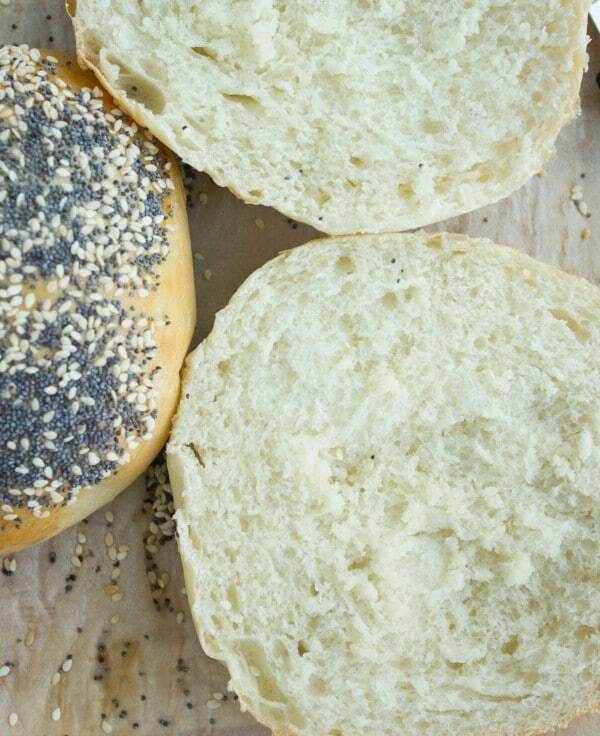 Remove the burger buns dough from the oven and preheat it to 350 degrees. 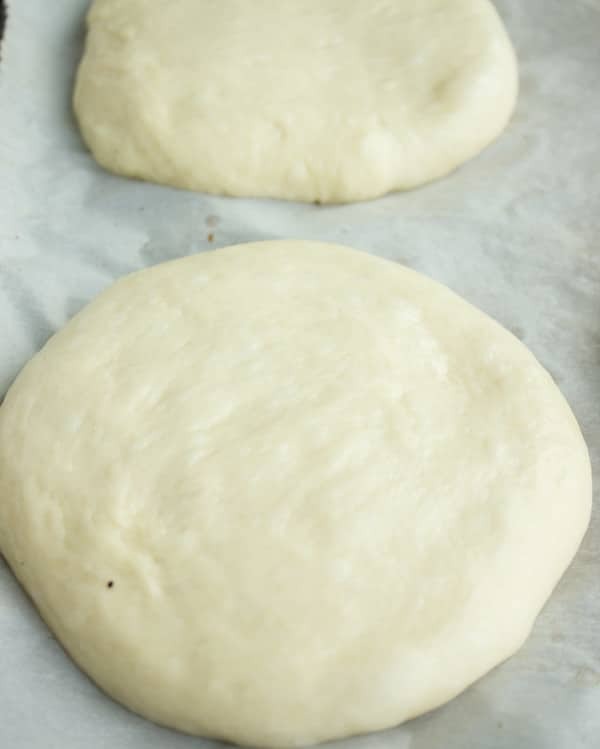 While your oven is preheating, shape your dough to your desired size and thickness, and cover the shaped buns with plastic wrap for another 30 minutes while the oven is preheating. Brush the tops of each bun with the egg wash and sprinkle the toppings. Bake in the oven on a middle rack for 15-20 minutes (depending on the size of your buns) until nice and golden. This is how burger buns should be! Golden brown with a light and fluffy inside! I could eat those straight from the oven, but they taste best with a nice burger patty and some veggies! The key to these fabulous soft burger buns is to use a minimal amount of butter that’s cold and rubbed into the flour (and salt). Then the water, yeast and sugar mixture (with 1 egg) is added into this flour mixture. The dough is kneaded in a machine or by hand for just a few minutes. Another key here is to keep the dough a little sticky. It should not stick to the surface or your hands, but when you dig your finger inside, it should stick. This soft burger bun recipe will completely change your burger game. 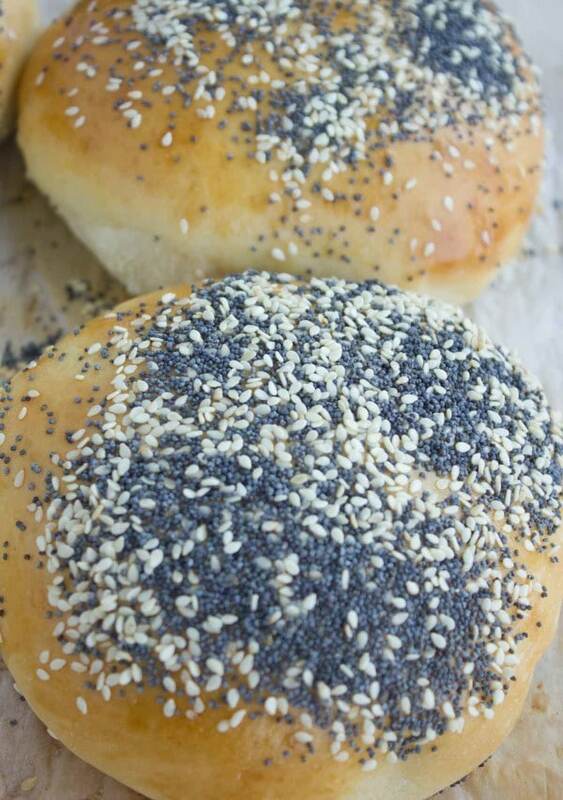 These fluffy and pillowy buns sprinkled with sesame and poppy seeds are easy to make and taste a million times better than storebought buns. Mahy you just read my mind! I was planning to make burgers tonight but was not sure if I really wanted to have ready made buns that taste horrible! Thank you Shahi! I know you will love these, they are well worth the effort! Enjoy! Every time I bake these buns I feel like am the best baker ever! They are super tender and the kids have so much fun making the dough! I wish to make this buns I am terrible at bun making but I have a question what do you mean buy rub the butter into flour? Can I use a food processor or a pastry cutter? Please explian I will not attempt these till I hear from you. HI Davey, Yes this is similar to pie dough making where you rub the butter into the flour, only it’s much much much more forgiving! So no need to worry about the butter size, the temperature of the butter, or over working the dough. 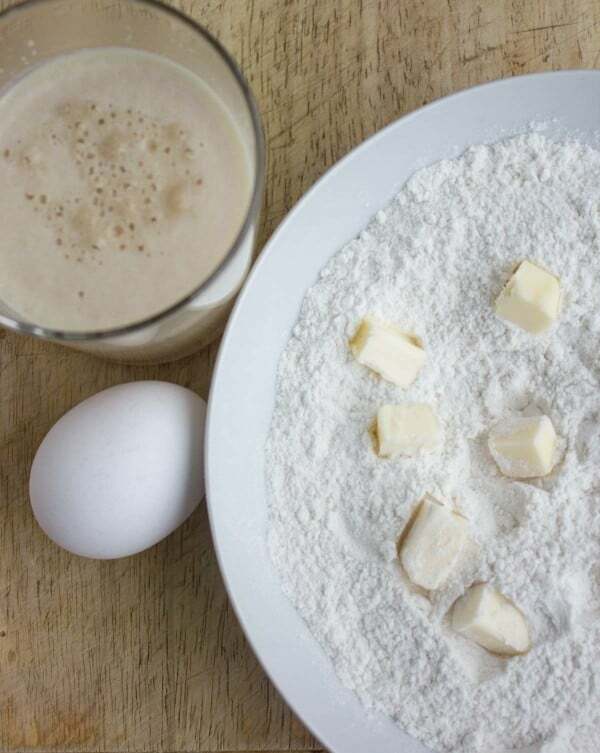 Just rub the flour into the butter until it blends and then go ahead with the remaining of the recipe!